Looking for fun things to do in San Diego? Morning and Afternoon / Sailing & Sea Life adventures. Fun Cat Sailing has over 30 years experience of offering the best sailing charters San Diego has and sailing tours San Diego locals and tourists love! 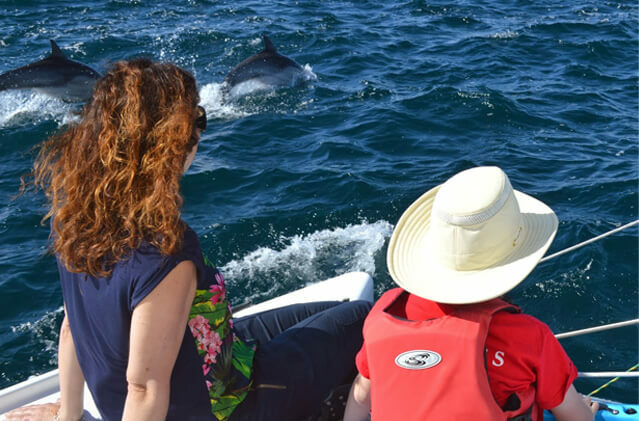 With our safe San Diego boat charter catamaran in San Diego, you will enjoy a fun afternoon as we sail out onto the ocean to see, sea-lions and often dolphins. 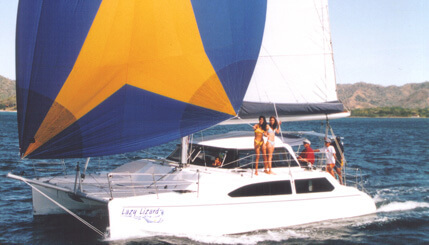 It’s now a great time to go catamaran sailing in San Diego. Help Sail, or just relax. 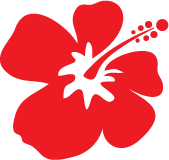 1st-time sailors welcome! Afternoon Sailing Adventures & Wind & Wine Sunset Sails. Afternoon / Sunset Sailing Adventures. 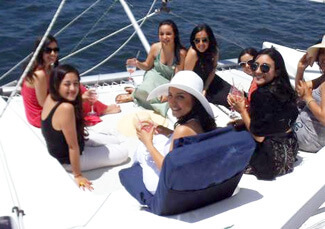 Among the best sailing trips San Diego has! Come aboard for an Afternoon Sea Life Adventure, or Wind & Wine Sunset Sail daily. Enjoy sailing through the swells on the ocean, and beautiful coastline views, or watch the beautiful San Diego skyline light up on our Sunset Sails. Plenty of time to search for, dolphins, and watch sea-lions play. Sailing quietly with sea life is the best way to view. Snacks and drinks included. Enjoy beer, wine, and watch the sunset. $85.00+tx. Per person. Call or e-mail for large group rates and child rates. Small groups to insure your individual service and attention. Help sail or just relax. Enjoy San Diego’s beautiful harbor and rugged coastal beauty. Sail out into the ocean and enjoy coastal sightseeing. Plenty of time to explore the beautiful coastline, San Diego Harbor, & search for sea-lions and often dolphins..
$85.00+tx per person. Call or e-mail for large group rates and child rates. Help sail, Kayak, or just Relax. Enjoy San Diego’s beautiful harbor and rugged coastal beauty. Try our new easy, stable Hobie peddle tandem kayaks while we anchor. find sea life like barking sea-lions and often dolphins..
$95.00 Per person. Call or e-mail for large group rates and child rates. We would love to take you out for your special occasion. Birthday Parties, Anniversary Parties, Bachelorette Parties, Graduation Parties. With our roomy catamaran, the kayaks, paddle boards, and your group, we are ready for fun. Call for larger group details. For private charters, we can customize the departure time, length of your charter, and menu. We have many years of experience working with corporate charters, and special groups. 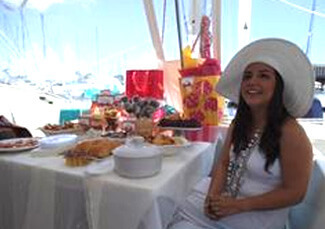 We would be happy to work with you to make your day a special memory. We have the all the gear you might need. If you didn’t come to San Diego with a wind breaker or something you might need to be comfortable out on the water, we would be happy to loan you our gear that is available just for you: Jackets, gloves, sunglasses, sunscreen, hats, blankets, and binoculars. This is your day, and we want you to feel comfortable.